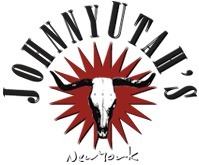 Join other Meetcha singles for drinks and appetizers in NYC at Johnny Utah'. Known for its fantastic cocktails and food. Enjoy fun "Happy Hour" activities that will keep you laughing!